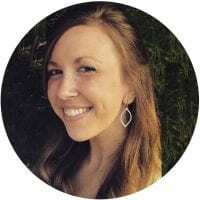 Jillian graduated from Millersville University with a Bachelor’s degree in Communications in 2012. She started her post-college life moonlighting as both a server and a bartender before giving up the restaurant grind for a 40-hour work week behind a desk. She has been part of the Track5 team for 3 years now and loves being surrounded day in and day out by some of the coolest co-workers on the face of the planet. When she is not working she enjoys spending time with her goofball hubby, Zack, singing karaoke as often as she can find it and indulging her “old woman hobby” of crocheting. Jillian has a true passion for learning new things and she has enjoyed every second of her time with Track5 so far. She is really excited to watch the company continue to grow with amazing talent and to watch where the next few years takes us!